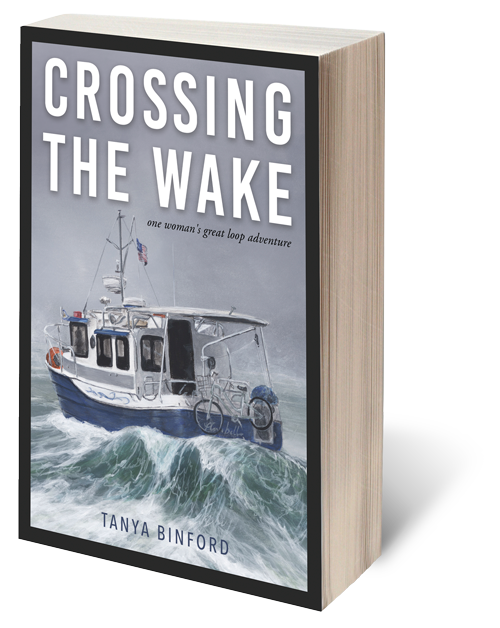 Against all odds, the author achieves her goal of circumnavigating the Eastern United States, the Great Loop, in a 25 foot Ranger Tug. Most people who do the Great Loop are retired couples or men, who have had extensive boating experience. Tanya moved from Arizona to a small coastal town in North Carolina, so she could pursue her goals and learn about boats. She leaves her hometown of Southport, North Carolina, with two other boats, but within two weeks has mechanical issues which cause delays and she is on her own. She quickly realizes that the weather and seas determine how fast or slow she progresses. Living in the tight confines of the boat, she travels from one port to the next, overcoming obstacles along the way. Traveling at the average speed of a beach bike, she finishes the 5,000 mile journey in six months. "Bittersweet, yet triumphant. The story that must be experienced." Sean O'Boyle AM, Australian composer, conductor. "To fulfill a dream, you first need to dream...Her story is one of grit, danger, and adventure. She tells her story with directness and honesty... A good read!" Danny Bernstein, Author of Forests, Alligators, Battlefields: My Journey through the National Parks of the South. "Inspiring. This book reminds me of the determination of the human spirit to overcome any task or challenge placed before us. The book provides an interesting insight into the experience of a determined woman who sets a course of change in her life. She describes the process of completing a life goal while sharing the personal and emotional story of achieving her goal... the book reminds the reader that the challenges in life that we fear or dread the most are the things that make life worth living." Mayor J.V. Dove, City of Southport.